Yesterday’s high temperature was 81 degrees at my house, as opposed to 53 in San Francisco, 27 in Duluth, 20 in Bangor, and 56 in Atlanta. 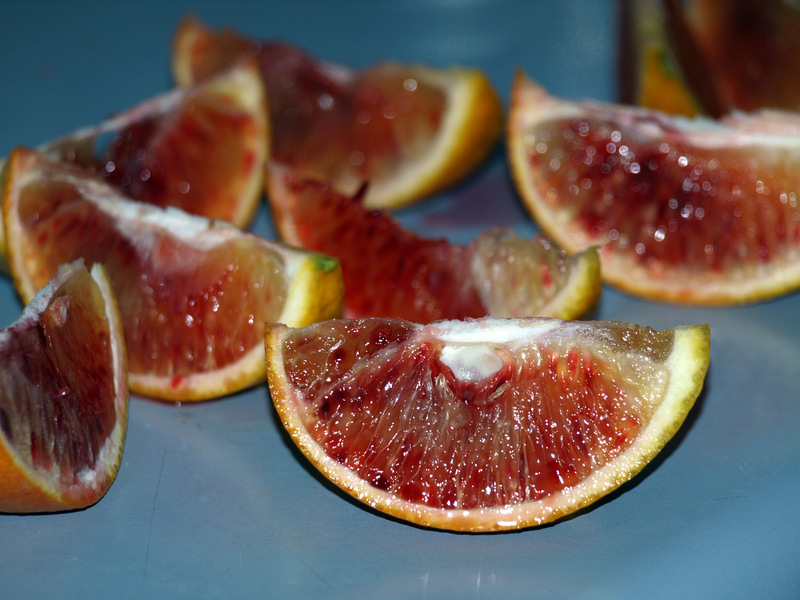 In the middle of such a balmy mid-winter afternoon, I strolled out the back door and picked a ripe blood orange. Sure beats the hell out of shoveling snow, doesn’t it? Indeed it does. I just wish it weren’t so dang humid. I don’t know. I’d take a few 50 degrees days. We were cheated out of pleasant fall. Count me as a warm-weather fan. After three days of 50 degree temps, I’m ready for a warm front. I do enjoy some cold weather to know it’s winter. As for snow, once in a while would be nice provided no one was out driving in it down here in Southeast Louisiana. So, this morning I had a delicious glass of fresh orange juice to go with a couple of fresh eggs right out of my own yard, sunny side up along with more slices of Blood Orange. Reasons to love South Louisiana in August? Heat, hurricanes, what else comes to mind? Nectar cream snowballs, Vietnamese iced coffee, boiled fat crabs, inshore white shrimp season (cheap, fresh shrimp straight off the boats), backyard okra, wild blackberries, watermelon….. The anticipation of the start of another great Saints football season.